Tim James and partner Helen. 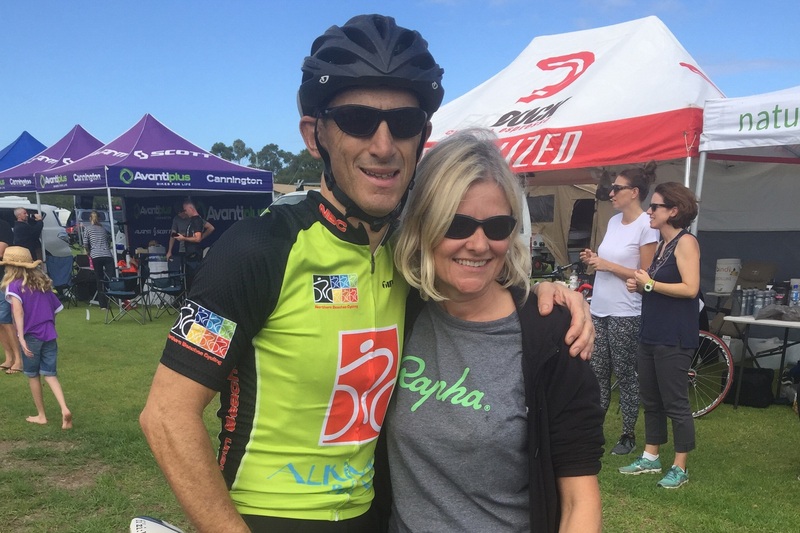 That is the question being asked as Tim James completed 767.6km in the Delirium 24-hour road race in Busselton last weekend. James has proven himself as one of the truly elite ultra-endurance athletes in the State after finishing second overall. It was a race of two halves, with the first 12 hours, from 11am to 11pm in near-perfect conditions, mild temperatures, overcast skies and moderate winds. Adding to the fatigue, the following 12 hours had near constant rain and wet roads, only clearing towards the end of the race. In the 24-hour period, the Mindarie resident spent a total of 22 hours and 21 minutes riding, recording a top speed of 49.3 km/h and averaged a staggering 33.6km/h over his total ride time. “After winning the 12- hour race last year and riding for the whole thing without a break, I knew I needed some new tactics, as that was not practical for 24 hours,” he said. James’ result was also enabled by another 24-hour solo effort, with the roadside support of his partner Helen, who was constantly beside the road, ready with food, drink and morale support.